In Prestonwood Forest, family-oriented events for our residents are established traditions. 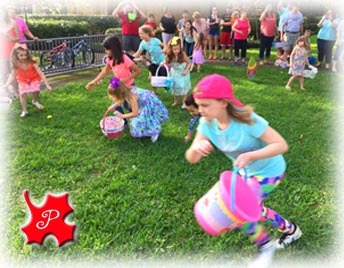 Prestonwood family events span the four seasons and include the: Easter Egg Hunt, Independence Day Parade & Picnic, Fall Festival and Nite of Lites. Homeowner committees are an essential part of planning and implementing these annual events and participation is open to all of our residents. Be sure to visit this website often for late-breaking updates and the Event’s dates and times. Residents who would like to be part of Event planning and implementation are welcome to Contact Us for more information. 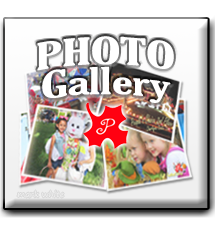 Everyone is invited to share Event photos for inclusion in the Photo Gallery slideshows – and to view those submitted by our friends and neighbors! 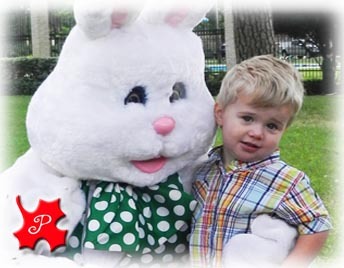 The Easter ‘Eggstravaganza’ starts the season of Prestonwood Forest’s family events. The annual Easter Egg Hunt is open to Prestonwood Forest children of all ages and includes a visit from the ‘Easter Bunny’! Activities are organized by age group and are held ‘rain or shine’ on the Clubhouse lawn - the Saturday before Easter Sunday! 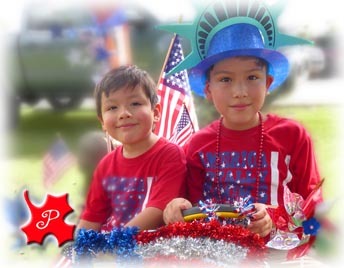 The Independence Day Parade & Picnic in the Park is an all-around favorite of Prestonwood Forest families! Residents of all ages are invited to decorate everything (and everyone) in the ‘Red, White & Blue’ to ‘Roll and Stroll’ in the Parade. 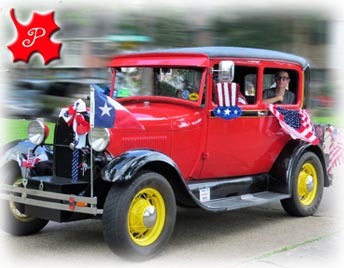 Parade participants powered-vehicles include an impressive display of well-decorated antique vehicles, and a wide-assortment of smaller powered-vehicles that include just about anything – well decorated ATV’s, go-carts, golf carts, riding lawnmowers. We’ve been honored for many years to have residents with the KOC lead the parade with our National Colors. The community is always excited to host our first responders from CCVFD and Precinct 4 and both are traditional, and featured guests. Prestonwood organizations are welcome participants and the Prestonwood Utility District and the Flyers swim-team float are among those that always enhance the festivities. Following the powered vehicles are the many colorful ‘walkers and rollers’ sporting their holiday attire, and the ‘rollers’ include just about everything on big and small wheels that can be pedaled, pushed or pulled. Prestonwood Forest residents’ Independence Day festivities continue after the Parade with the traditional ‘Picnic in the Park’, by the Tennis-1 deck. 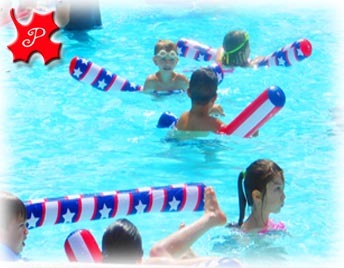 Children know to bring (or wear) their swimwear to the Parade because immediately after the parade ends, the fun starts with the CCVFD ‘shower’ on Prestonwood Forest Drive, and the Clubhouse Pool (Pool-1) opens early with lifeguard-guided games, for our children. Residents are always reminded to pack their Recreation Access Card along with their swim gear in order to enter and use the pools. 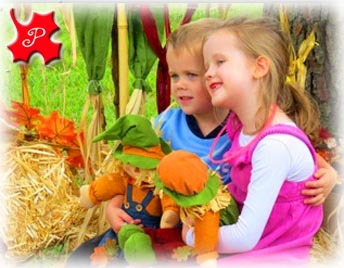 Prestonwood’s Fall Festival is the 3rd of Prestonwood Forest resident’s annual family events, and is scheduled on the 1st Saturday of October. 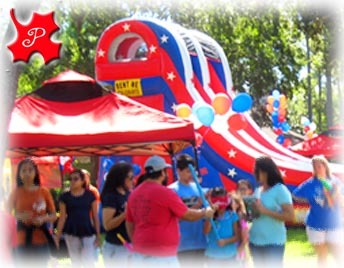 The Fall Festival is a popular ‘Big Tent’ event that brings Prestonwood families together one last time, before ‘Nite of Lites’, to enjoy an afternoon of fun, food, music, and children’s activities. The purpose of the Fall Festival is to continue to strengthen our neighborhood’s unique ‘social fabric’ by providing an autumn event with the theme of ‘neighbor-to-neighbor’ communication. Prestonwood’s official Organizations and Committees are invited each year to participate and use this opportunity to increase their resident awareness and encourage resident participation. An essential component of the Fall Festival’s ‘big tent’ is promoting our law enforcement partnership with Precinct 4 Constables and advocating the grass-roots level camaraderie that is necessary for an aware and safe neighborhood. Our Precinct 4 Constables are fantastic participants, bringing promotional items, tools of the trade - and making themselves available to strengthen the open dialogue with residents. Additionally, the 1st Tuesday in October is the nationwide ‘National Night Out’ and promotional items are provided to encourage block-level organization, participation and safety awareness. The Nite of Lites festivities are the crown jewel of annual Prestonwood Forest events! Prestonwood Forest has been recognized for over 40 years in the Greater Houston area - and nationally - for welcoming thousands of visitors to share our community’s holiday spirit of well-decorated homes. Homeowners participate in friendly competition for a variety of individual and block recognition categories which are awarded by a committee of guest judges. Additionally, our residents and wandering guests contribute to the fun by registering votes for their favorite home – online – for recognition in the special ‘People’sChoice’ award category! 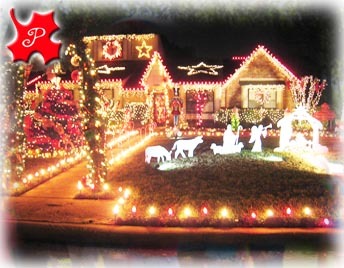 The Nite of Lites event typically begins on the second weekend in December and runs through the last weekend in December.